When it comes to video players then it is a no brainer that VLC Media Player is probably one of the best Video Players out there. Not only it is popular, but it is loaded with many amazing features that are used to play most of the modern audio and video files. Along with these features, the VLC Media is free without any adware. However, users still get the ability to enhance the functionality of the VLC Media Player with Add-ons. With these Add-ons, one can do a lot of things which he normally wouldn’t be able to do. Each Add-on has its own specific function and feature that it brings to the table. 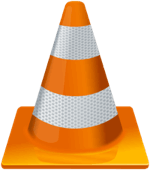 How to Install VLC Media Player Add-ons? Installing Add-ons to VLC Media Player is really easy and doesn’t require any fancy install wizards or anything else. To Install VLC Media Player Add-ons, follow these steps. After you download the file in .lua extension, you will need to copy them. Press Ctrl + C or copy the file by right-clicking on the file and selecting Copy. After you copy the .lua files to the aforementioned location depending on your OS, you will need to restart VLC. You will now see that depending upon the addon, you will find options on menu items.